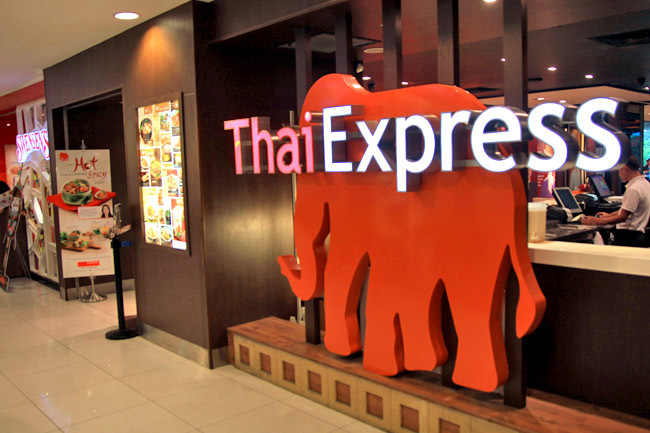 Thai Express may not offer the most authentic Thai cuisine, but it is the definitely the most successful chain locally with 24 branches, and somehow has become a default choice for many when they have Thai food cravings. I am so relieved that Thai Express has moved beyond the usual Tom Yum Goong, Pad Thai and Green Curry because Thai food is so much more than that. With a revamped menu with over 130 items, they have chosen to go more street – with a variety from different regions, and more obscure parts of Thailand. Some of the new favourites include the popular street snack – Khoa Tang Naa Tang, rice crackers served with special creamy chicken and shrimp sauce ($7.90); Gai Op Pattaya Thai-style roasted chicken thigh ($9.90); Pueak Himmapan fried taro with cashew nut ($9.30), super spicy Kraphoa Gai Kai Yeow Maa stir-fried minced chicken with Thai basil and century egg ($9.30); and a very different sweet-spicy Kway Teow Sukhothai ($11.30). To my surprise, somebody finally brought in Complicated Noodles, at least that’s how Thailand’s Greyhound Café (Bangkok) calls it. Thai Express’s version is named a more forgettable Kway Teow Lui Suan, a DIY minced chicken and dry kway teow salad dish ($9.30). (DIY really means Do It Yourself, don’t think too much). There is nothing too complicated about this dish, but it will probably get your hands quite messy. (Must wash before eating!) 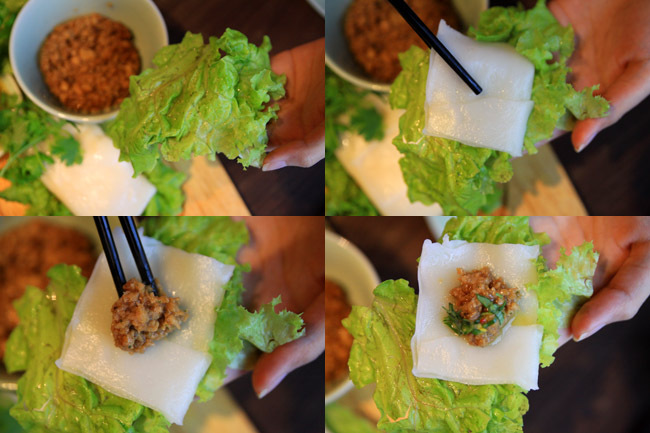 So the ingredients are served on a wooden board, with stacks of square noodle sheets, lettuce, and a bowl of spicy minced chicken. The trick is about how you can wrap everything up – lettuce, kway teow, a teaspoon of meat and spicy dressings in that sequence – all elegantly and effortlessly. And stuff the entire clutter in your mouth in graceful fashion. Practice makes perfect, and you never know eating can be this fun. The Kway Teow Sukhothai ($11.30) departs from the familiar taste of any noodles. 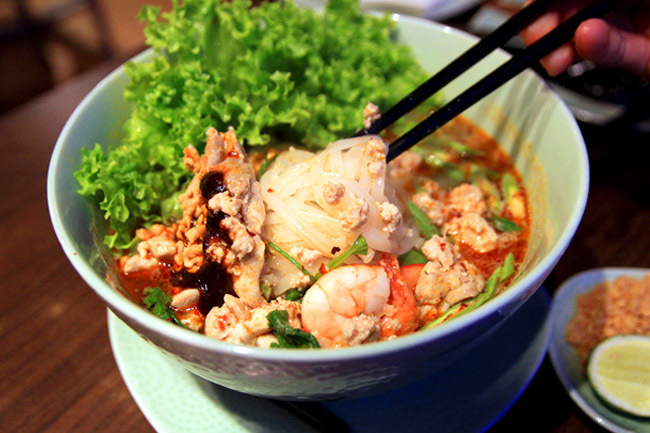 This stick noodle with minced chicken and prawn swimming in chilli oil soup topped with crushed peanut, is hot, sour, salty and sweet at the same time. The element of sweetness is stronger than usual, tasting somewhat like a diluted minestrone soup, and all on the table agreed it is both strange and memorable. 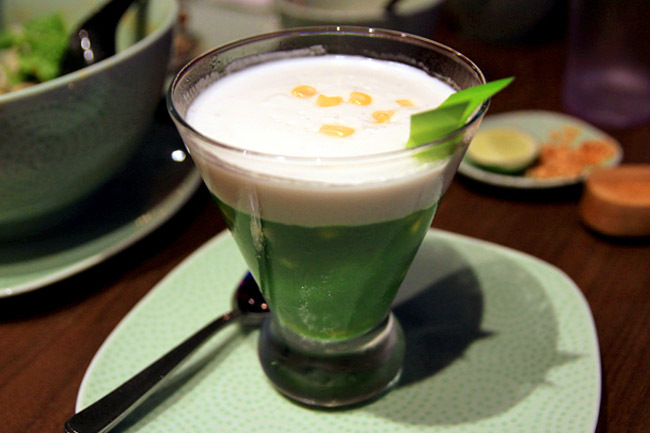 One of the most popular dessert I call ‘Big Brother’, but is actually named ‘Ta Kor’ ($6.80) is a half-and-half Thai fragrant pandan jelly with coconut custard. Forget about the calories for the time being, and indulge in a sweet happy ending. [Giveaway Ended] Thai Express Vouchers Giveaway! Thai Express will be giving away 5 sets of $20 vouchers to 5 Blessed DanielFoodDiary.com readers to enjoy its new menu. Results will be announced 25th Feb (Mon). lovesss the pad thai there. My favourite new Thai Express dish would be Khoa Tang Naa Tang, rice crackers served with special creamy chicken and shrimp sauce! yummy! I'm always mistaken for a Thai, even by the Thai… so I should eat Thai… Love Pad Thai, Hot Roy, and everything Thai. My favourite new Thai Express Dish is Gai Op Pattaya Thai-style roasted chicken thigh. Hi Daniel, thanks for organising this giveaway. The new menu from ThaiExpress certainly looks awesome and your pictures just makes me crave for some sweet and spicy Thai Food now. Well, I guess my new favourite ThaiExpress dish has got to be the Kway Teow Sukhothai! oooh I didn’t get to try the complicated noodles at the greyhound in Bangkok previously so it’s my second chance to try it now at Thai Express! I fav dish has to be the Kway Teow Sukhothai! Yummy yummy! love the Kway Teow Sukhothai! I'm a noodle person! My fav is Khoa Tang Naa Tang. Can't wait to try the super spicy Kraphoa Gai Kai Yeow Maa stir-fried minced chicken with Thai basil and century egg.. the normal minced chicken with basil has always been my fave! I want to be blessed! I love Thai Food (hehe mus b a Thai in previous life). Anyway my favourite would be e popular street snack – Khoa Tang Naa Tang, rice crackers served with special creamy chicken and shrimp sauce..Although I love alot of e others dishes.. However this street snack is my all time favourite, yet not easily found in Singapore! Yum to e max..
my new favourite dish has got to be the Kway Teow Lui Suan I find the concept of it so interesting! and it looks divine! cant wait to try it soon! love the Kway Teow Sukhothai! I’m a noodle person! Kway Teow Sukhothai would be my choice! How can anyone resist noodles? Liked & Shared! Tar Kor! 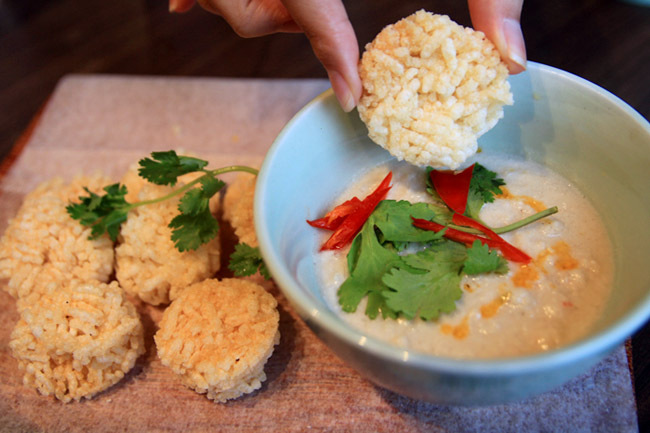 Can’t get enough of Rice Crackers in their Khoa Tang Naa Tang street snack! Liked & Shared! I’d like to try out Tar Kor! I <3 Thai food. I would love to try the Kway Teow Sukhothai. 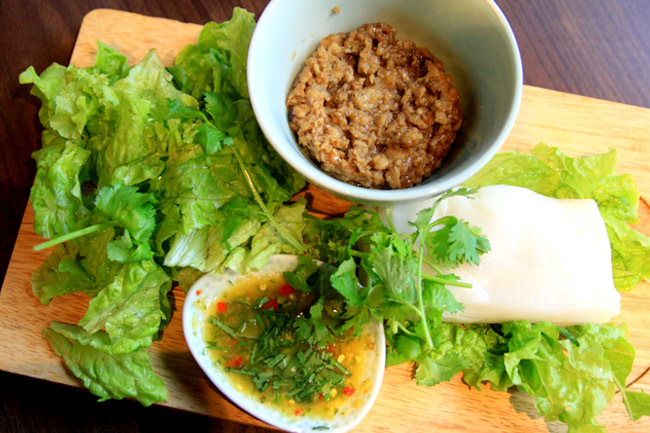 My new favourite dish is popular street snack – Khoa Tang Naa Tang..yummy yummy! My favourite is the Kway Teow Sukhothai! It looks so yummy and delicious! With Thai Express, I can satisfy my Thai food cravings every week! The Kway Teow Sukhothai It looks really tasty! 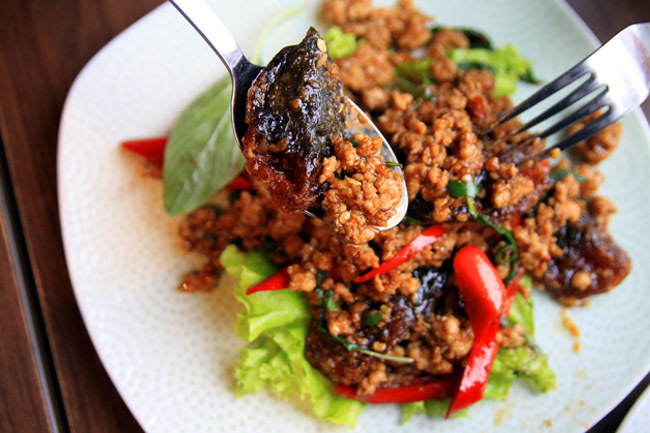 It has to be Stir-fried minced chicken with Thai basil and century egg! Gai Op Pattaya Thai-style roasted chicken thigh ! Love the Khoa Tang Naa Tang, yummy! Kway Teow Sukhothai, look really good ! Brother! I love your posts and Thai Express! My favorite dish is Big brother because it looks super omnomcious and reminds me of you, brother! Cant wait for you to select me and let me try this. I would love to try the Kway Teow Sukhothai. Looks yummy. Yay to Thai Express! Staying in Yishun, I always visit the branch at Northpoint for dinner w friends! Really excited to try out the new dishes! If I have to pick one out of so many delish new dishes, it would have to be the Kraphoa Gai Kai Yeow Maa! Spicy. Minced chicken. Century egg. ALL MY FAV IN ONE COMBO, HOW TO NOT LOVE IT? oh dear, i’m seriously spoilt for choice! I’d looooooooooove to try the new Ta Kor from Thai Express because it looks sinfully inviting and screams “Indulge in me NOW” ! Gai Op Pattaya Thai-style roasted chicken thigh. Pueak Himmapan fried taro with cashew nut. The Kway Teow Sukhothai seems pretty interesting! Would be trying it soon! My favourite is the Kway Teow Sukhothai! I would love to try the Gai Op Pattaya Thai-style roasted chicken thigh. I love their Tom Yum Hor Fun!! My favorite is Khoa Tang Naa Tang. favourite would be Khoa Tang Naa Tang. The Kway Teow Sukhothai is my favorite. Khoa Tang Naa Tang looks yummy to me. My favourite new Thai Express Dish is Khoa Tang Naa Tang. My favourite is Kway Teow Sukhothai. Congrats to Wen Hao, Melvin Lim, Jiayu Chelza, Jacqueline Tay, Dallas Goh, you have each won for yourself $20 Thai Express vouchers. Please email to DanielFoodDiary@gmail.com with your name and address. Delicious day ahead!